A perfect combination of outdoor adventure and high-class relaxation, Lake Ledro offers some of the best landscapes and resorts in northern Italy. Enjoy this picturesque location during your next vacation when you travel to Lake Ledro. For the adventurous types, there are numerous hiking and trekking paths around the lake, taking you into the heart of some of Italy’s most scenic havens. On Lake Ledro itself, you can enjoy water sports, fishing, and boating. Surrounding the lake there are plenty of high-end spas and resorts for you to relax and soak up the peaceful and rejuvenating atmosphere. Why not give yourself a break from the rush of everyday life by coming to a place of tranquility and natural beauty like Lake Ledro? 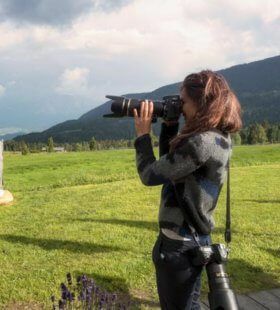 Our expert photographers in Lake Ledro know all the best ways to make sure your vacation photos do justice to the spectacular surroundings and unique charm of the city.